Welcome to the Crossbody Weekender bag tutorial! This is a Free pattern! To keep this pattern free please Pin this tutorial and Share with your friends! 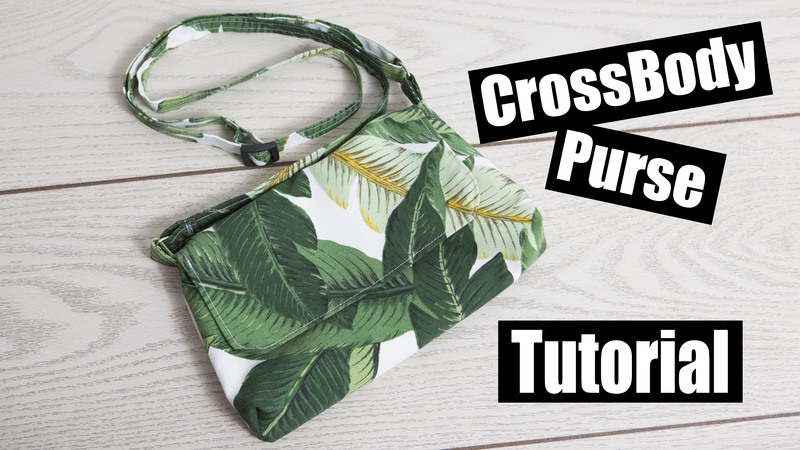 Please note this is not the entire tutorial, photographs will help you get started but to learn how to make this purse from start to finish watch the Video tutorial linked below! This purse has a floating zipper pouch in the centre to create two seperate compartments. This is a great purse made out of Cork fabric too! the Palm fabric is a Canvas fabric. Adjustable strap size – 60″ long x 2 1/2″ – Of course you can make the strap any size you like!